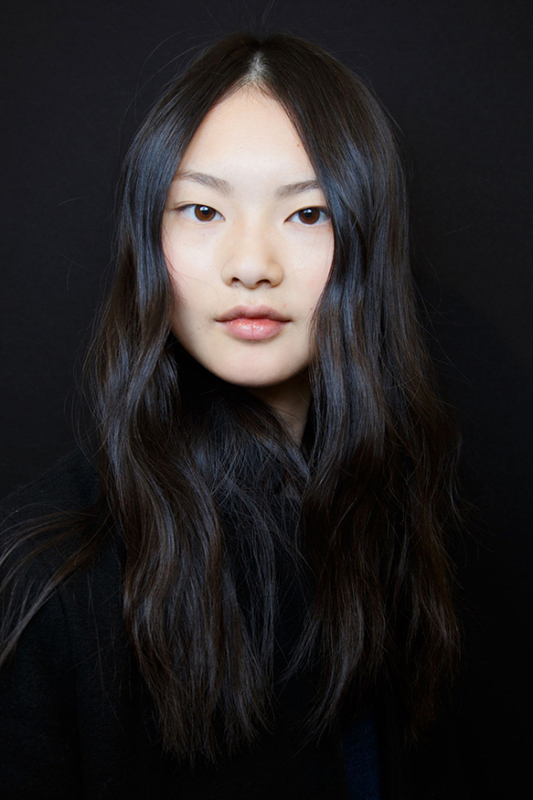 With naturally straight hair that has a fine, silky texture, Asian type hair can be a blessing and a curse. You’ve probably never had to reach for a flat iron, but have trouble getting hair to stay curled or intricately styled. 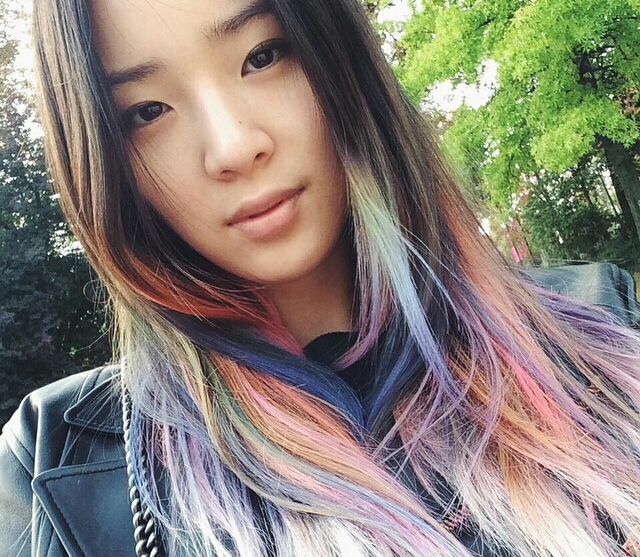 The latest trends in Asian hair are fun, vibrant, and above all, youthful. Check out our 25 favorite styles! Bangs are a great choice for anyone with hair that is naturally very straight, because you won’t have to worry about extra styling time to get them just right. These blunt bangs bring all focus on to the eyes, and are especially flattering for women with oval shaped faces. Not only are these bangs stylish, but they’re practical for keeping long, dense hair out of your face without clips, product or curls. For a chic but playful style, This bob is textured at the ends to avoid the heaviness that can come with a blunt cut on a dense head of hair. Wispy bangs help keep the whole style light and slightly windswept rather than meticulously arranged. For very light skin tones, deep but warm copper color is the perfect choice for standing out without looking washed out. These dreamy romantic waves in a trendy vibrant copper color are definitely giving off Little Mermaid vibes. To hold on to a bold red like this for as long as possible, try shampooing less frequently, and using sulphate free shampoo and cold water when you do. Hugely popular among Korean celebrities, see through bangs are a sweet, feminine detail that soften facial features and elongate the appearance of wide faces. Because they’re so light and wispy, these bangs can easily be brushed aside and hidden within the rest of your hair. This cut also features layers throughout the rest of the hair, and will look best on women with a thick head of hair. 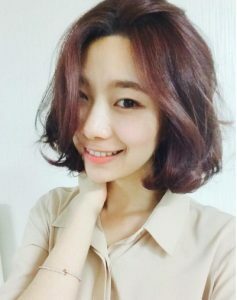 This version of the chin length bob represents a young, elevated style. 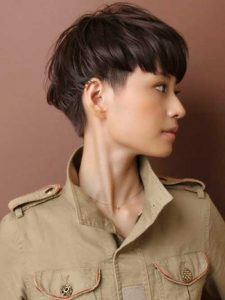 With textured ends and tons of volume at the top of the head, this Asian haircut is a great choice for bold young women. 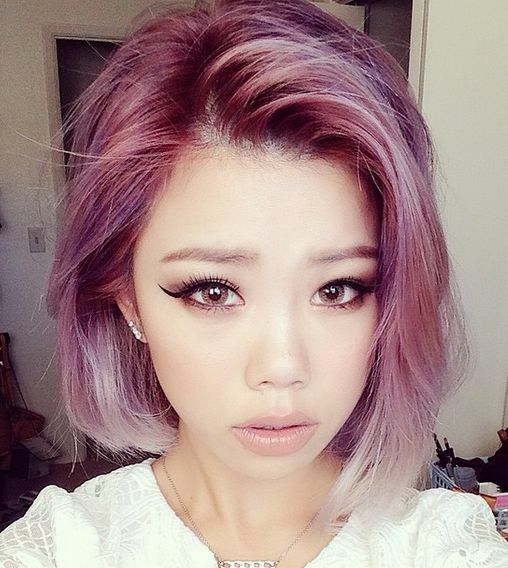 Inspired by the bold hair colors of K-Pop stars, this pink color is multi-tonal and full of dimension. Getting to this color from naturally dark Asian hair can be a lengthy and difficult process, which is all the more reason to seek the help of a professional, especially one with experience in coloring your specific hair type. If you’re loving the copper trend but afraid to commit your whole head, this style is the perfect compromise. Copper highlights on natural black hair can end up looking like tiger stripes, but this layered color lets the copper underneath show through naturally. Because the copper hair isn’t right against your face, this is a good style choice for women who are concerned about a copper shade clashing with their skin tone. This style mixes the look of a grown-out boy’s cut with feminine details like textured ends and face framing bangs. Style it messily and pair with an ultra-girly romper for the look of a fashionista who just rolled out of bed. Inspired by the idea of girls who can afford weekly blowouts and perfectly subtle styling, the rich girl hair trend is marked by thick long hair, parted in the middle with natural looking waves. Don’t worry if you aren’t a rich girl, this style is still obtainable for the rest of us. Use a curling iron to create loose, uneven waves, then brush out to soften the appearance. If you’re planning ahead for tomorrow, tie wet hair in twisted buns overnight, and you’ll have waves to work with the next day. The bottom layer of this bob has been thinned out, creating soft, wispy ends with a lot of volume on top. Perfect for women with dense, finely textured hair, so the bottom layer stays soft looking without falling flat. With both the ends and bangs cut bluntly, this style adds softness by curling the ends inwards, and the final effect is a super sweet, girly style that exudes bubbly youth. These 70s inspired bangs are super trendy, and flattering to a variety of face shapes. If you’re growing out blunt bangs or trying bangs for the first time, this is a casual way to style them that takes fairly little effort. 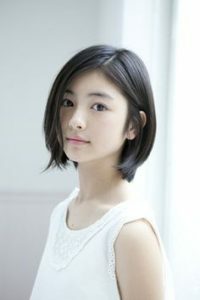 While these bangs look good with shorter haircuts, we especially love them in combination with long hair as a way to prevent your face from looking long or tired. 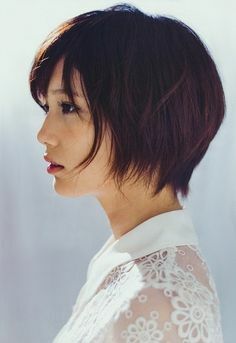 Bangs are big in Asian hair trends, but if you’re going for a more sophisticated look, consider this bob with a centre part and no fringe around the face. 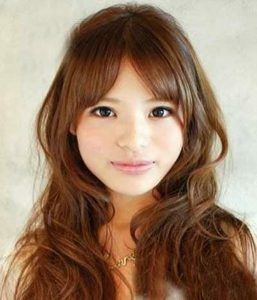 The cellular structure that makes Asian hair naturally silky and straight also makes it difficult to curl for some women. If you’re struggling to make curls stick around from root to tip, try altering your game plan with a curled end style. 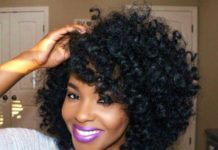 These uneven curls don’t place any emphasis on perfection, so if your hair is resistant to heat styling, overnight curling with rags is a good alternative. These long, in your face bangs are especially flatting on women with square shaped faces. Slight feathering and a curved shape keep bangs from looking like they’re blinding you. 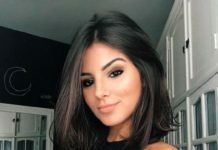 Strategic undercutting prevents this short hair from looking bulky or helmet like, and the end result is a bold, feminine style that places lots of attention on your face. Women with very straight hair may find their hair sticking straight out when growing out the undercut, so consider letting the top grow long enough that it will hide the back and sides before you start letting them grow too. This high volume look with big curls in the ends is a perfect mixture of youth and glamour. Curl at the ends and use a volumizing spray to get lots of lift at the roots. 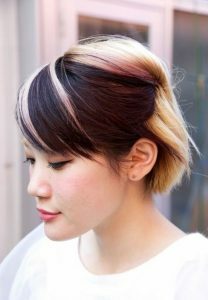 For an anime-inspired style that’s more than a little unique, try this layered blonde color on a short cut with side swept bangs. If you’re into understated styles or have a professional job that means crazy cuts and colors are out of the question, this feminine bob is sweetness and sophistication all in one package. The ends are kept light and feathery making this a quick wash-and-go style for women with naturally straight hair, but you can always add some face-framing waves on days you’re feeling fancy. Perfect for a special occasion, this long, centre parted hair is full of glamorous curls that are a little more defined than the lazy, brushed out waves of the rich girl hair trend. To get curls to stay in stick straight Asian hair, work with hair that hasn’t been washed for a day or two, and apply hairspray both before and after you curl. With lots of layers in the back, this stacked bob gives a lift to dense, straight hair that has the tendency to fall flat when left to its own devices. This style has a retro glam feel but stays modern thanks to on-trend copper color. The perfect combination of femininity and edgy style, this cut has soft, side swept bangs and sharp layers throughout the rest of the hair. The end result is a slightly asymmetrical, shaggy style with a vibrant pop of layered red on top. 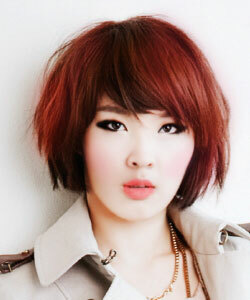 A high fashion style that looks good enough to eat, this bob gets big volume with ends that are curled inwards. Blow-dry with a round brush to achieve this glamorous shape, keeping in mind that heat styling will make it harder to keep this vibrant pink color. Playing nicely off of a subdued brunette shade, this layered pink style is young and fun without having to commit all of your strands to the bubblegum hue.